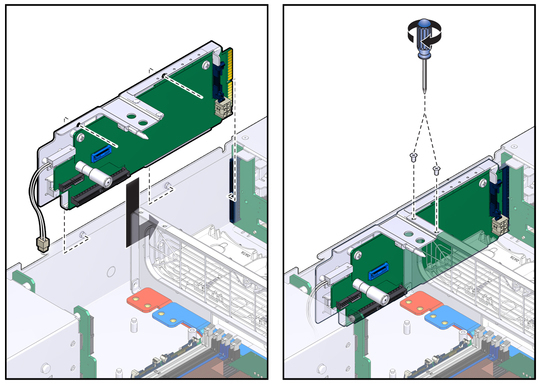 Using the mushroom standoff as an alignment guide, lower the connector board into the chassis. Slide the connector board forward to plug it into the hard drive backplane. Secure the connector board with two screws. Connect the power and data cables from the fan power board. Install the power distribution board. See Install the Power Distribution Board.